A Select exhibition from the Arts Council Collection featuring work made during the 60s and 70s by leading British artists. 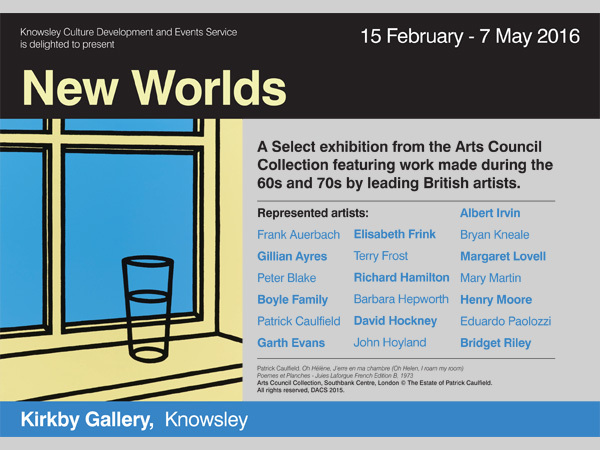 ‘New Worlds’ takes its inspiration from the era that Kirkby as a New Town was built, the 1960s. This was an exciting period in time for town planning and local building projects, as it set out idealised visions on how people should live, play and travel around the town that they live, informed by the physical architecture and geography around them. 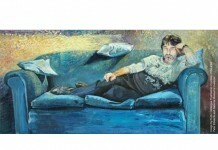 This optimism and dynamic thinking is reflected within the array of artworks being made by leading artists of that time. 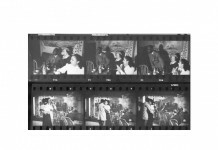 Taking the lead from the year that Kirkby Library was built, which has always been the shared home for Kirkby Gallery, 1964 places this exhibition centrally within that period. The exhibition seeks to present work by a range of leading British artists who best represent that energetic period of creativity. Special to this exhibition are a series of activity sheets and a practical arts education area – the ‘Studio Space’ in the gallery, so visitors can learn more about the artists and the art movements they are associated with. If you are a school or group wishing to bring a class to the gallery, please book in advance via the contact details below.